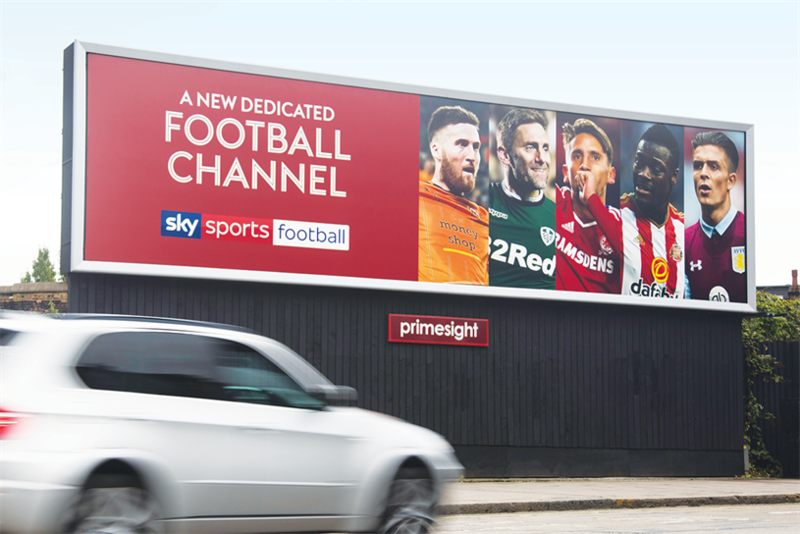 Sky has called its first UK media review in 13 years as part of an estimated £400m pitch across Britain, Ireland, Germany, Austria and Spain. Sky, Britain’s biggest advertiser, spends close to £300m on media in the UK and this is set to be the largest UK media review in advertising history. The pay-TV giant spends over £100m in Germany and Austria. Sky is using a large contingent of consultants from Ebiquity, ID Comms, Aperto One and law firm Reed Smith to advise on the review in a sign that media transparency is likely to be high on the agenda. WPP’s MediaCom manages most of Sky’s media planning and buying in the UK and Ireland, plus Spain, a new market. Dentsu Aegis Network’s iProspect handles paid search. All media will be part of the UK review, except for out-of-home, which is handled by Rapport. MediaCom and sister agency Mindshare share media duties in Germany and Austria where WPP has looked after Sky Deutschland since 2011. Sky is keen to be seen to run an open and transparent process. A spokesman said: "Sky’s business, the media landscape and the media-buying market have evolved considerably since our last review. "As one of Europe’s largest advertisers we feel it is simply good business practice to review our communications planning and media buying relationships." Sky is running a competitive process and is expected to invite all of the big agency groups to pitch, although Omnicom might not take part because it already handles Liberty Global, the owner of Virgin Media, across Europe. Sky’s spokesman added: "We have a good relationship with our existing agencies and we very much want them to be part of this process." Sky will be using its own contract with agencies, rather than using ISBA’s framework contract, although the TV giant is expected to use some of ISBA’s language and principles. ISBA, the trade body for UK advertisers, launched a new, tougher framework contract last year to improve transparency. Ebiquity is expected to handle media auditing and pricing and ID Comms will advise on the review process. Aperto One is known for pushing transparency, particularly in digital. Sky is expected to meet agencies for a formal briefing in early November and plans to complete the process by spring 2017. It is thought Sky will pick its media agency locally in each of its main markets but it has not committed to any particular outcome. Sky’s decision to launch a media review comes despite Europe’s biggest pay-TV firm being in the middle of a planned takeover by its top shareholder, Rupert Murdoch’s 21st Century Fox. A source said the Fox takeover, which is facing a regulatory inquiry in the UK and is not certain to complete, will have no impact on the review. Fox reviewed its estimated $1bn (£759m) global media account last year and appointed agencies from a number of networks, including WPP, Dentsu Aegis and Publicis Media, in different geographies. An industry observer says Sky considered a review last year but put it on hold – partly because of the Fox takeover move. Sky’s review follows changes to the way it structures its marketing teams, including the UK, where Luke Bradley-Jones has taken over as chief marketing officer. Sky Italia is not holding a review because it has not changed its marketing set-up. Andrew Mortimer, Sky’s director of media, is leading the UK review process. He signalled the importance of transparency in an article for Campaign in March and urged advertisers and media buying agencies "to come together". He wrote: "Advertisers have a responsibility to create sustainable relationships and acknowledge that their partners need to make fair profits based on the value that the agency is adding to their businesses. "In return for a fair fee and a reasonable profit, the media agency should disclose all income related to client’s spend and where they or their holding group has a financial interest in the media supply chain." BT, Sky’s arch-rival, reviewed its media last year and consolidated its spend, including EE, with WPP’s Maxus.